2014.09.15 – So I have a confirmation from a reliable source that this is, in fact, how Amazon App Store will function. As I suspected AAS will allow you to install a purchase on as many devices as you are logged onto. So this is a win for users! Now before you go taking all your purchases to your friends device remember that once you log out of your Amazon account, that device will no longer get updates for any apps downloaded from that account. We all know that the much awaited BlackBerry OS 10.3 release date is getting closer and closer, we are all talking about the cool features that the new OS will bring to end users. 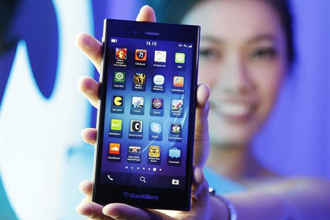 One of those features will be the move from BlackBerry World to the Amazon App Store for consumer apps. There has been a lot of discussion around the question if BlackBerry has abandoned their developers or if this move is actually better for developers. BlackBerry of course has been touting this as a win win for users. I am of an opinion that this is a great move, with the release of 10.3 BlackBerry will be able to run 98% of all Android apps that were designed for Android 4.3 and below. This will give BlackBerry a winning hand when it comes having access to popular apps. As I was reading an article today on the Inside BlackBerry Blog and reading about how Amazon App Store will be the new built in default app store in 10.3, a question popped into my head. “What happens when I loose or upgrade my device with 10.3?” For those of you not familiar with how it works, currently when you use BlackBerry World, all your purchases are attached to your BlackBerry ID (BBID). Your BBID is tied to your phone and you cannot change the BBID associated to your phone without wiping the BlackBerry and starting new. In the event you loose your device, or change to a different BlackBerry you would setup up the new BlackBerry with the same BBID and all your purchase you made using that BBID can be downloaded again from BlackBerry World. This make the process of switching to a new device painless. Well I quickly answered my own question by realizing I would just log onto the Amazon App Store with my account and download my apps again. This is when the “Wait a minute” moment happened, purchases will no longer be made using your BBID they will be made using your Amazon account! My wife and I both use the same Amazon account, we do this for obvious reasons if your a Prime member. You use one account for the same address and only pay once for Prime. My wife also has a BlackBerry so she will log into the Amazon App Store with the same credentials as I will. So here is the silver lining part…. Does this mean purchases that I make will be available to her on her device without needing to pay again? If so this would be awesome! If you have multi devices that you switch between you could now install the app on each one of those devices. You could share an app purchase with your spouse on their device. I am hoping that this is just the way it works with Amazon App Store and that they have not employed a way to read the BBID of the phone to prevent this. I for one cannot wait for the release of 10.3 to find out!!! Just a sidenote, they won’t be shutting down BlackBerry World. Both stores will coexist. AAS will work the way it always has, same for BBWorld. Yes correct, but developers I believe will start to leave BlackBerry World and start to build just Android applications. Why develop for 2 platforms when you can develop for one, two birds with one stone? That is just good economics for developers. No of course there will still be some apps that just need to be native and they will continue to be built. But I think apps that were already using native code for BlackBerry will continue but going forward I can see that only Enterprise and a select few apps will be coded natively for BlackBerry for financial sense..
Amazon allows up to 25 devices (10 for music) and each time an app is downloaded, it processes a unique ID for that which Amazon tracks, not your device. tl;dr: You can download an app on up to 25 different BB devices using the same ID, unless it’s prime music in which case it’s only allowed on 10, if you exceed those values then you need to deauthorize some of the devices listed on your account. That’s just awesome… Thanks for the reply! This might be something that CrackBerry should post, this is awesome for users to know that this switch to AAS is actually a win for users, if you like Android apps of course.